We are offering a with range of PP Fittings. 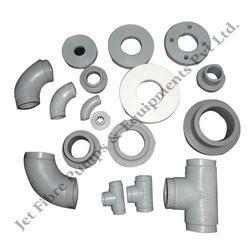 Our clients can avail from us a qualitative array of PP Fittings. These are designed and manufactured using quality tested raw materials and advanced production technology. Our range is also manufactured in customized specifications as per the application needs of clients. These are moreover competitively priced and are at par with the international standards. H.D.P.E. / P.P FITTINGS : BIS Standard IS 8008 : 1976. H.D.P.E. / P.P. Flange & Pipe end (SN & LN) DN 20MM to 400MM & PN 10. H.D.PE. / P.P. Reducer for all Sizes. H.D.P.E / P.P. End Cap for All Sizes. Blind Flange for all Sizes. We are offering a with range of PP Fittings. 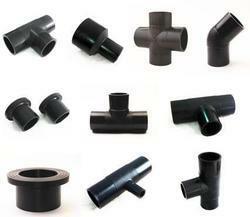 Our clients can avail from us a qualitative array of PPR Fittings. These are designed and manufactured using quality tested raw materials and advanced production technology. Our range is also manufactured in customized specifications as per the application needs of clients. These are moreover competitively priced and are at par with the international standards. End Cap for All Sizes. Looking for PP Fittings ?